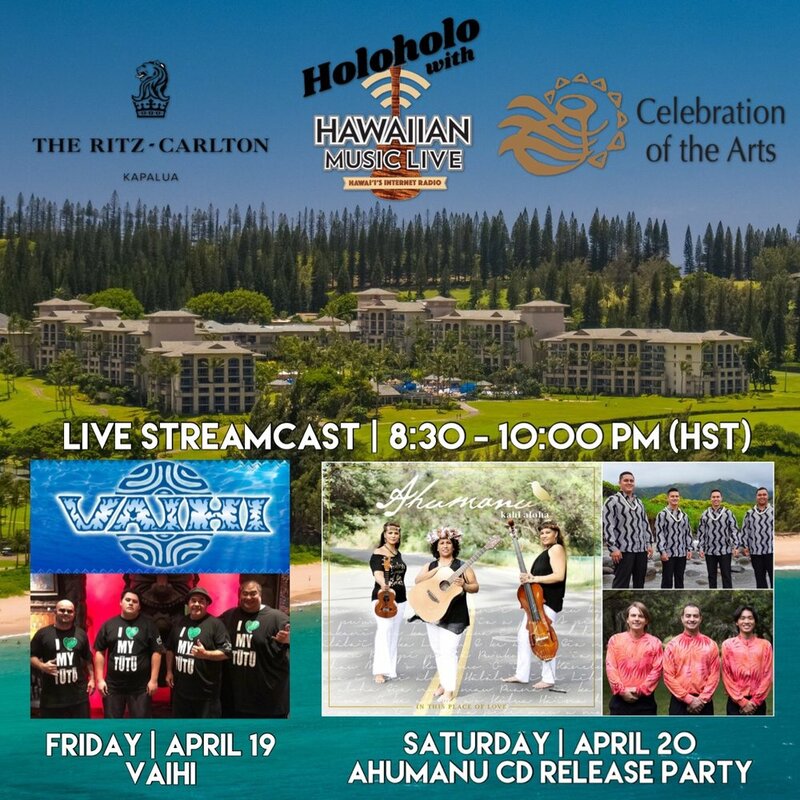 Listen as we streamcast live from The Ritz-Carlton, Kapalua and the 27th Annual Celebration of the Arts: Celebration After-Hours. The Ritz-Carlton, Kapalua will convene Hawaii’s most reputable artisans, educators, cultural practitioners, speakers and entertainers, April 19-20, during the 27th Annual Celebration of the Arts. 8:30pm – 10:00pm – From the island of O’ahu and the Tiki Bar in Waikiki…enjoy the fun and talented group “Vaihi.” Don’t miss this appearance. 8:30pm – 10:00pm – The long anticipated CD Release party for Maui’s own “Ahumanu!” Joining their angelic harmony and musical skills will be one of Maui’s (and the state’s) hottest new bands, Na Wai Eha. And…another up and coming group called Kuikawa. All this combined with the hula skills of Halau Hula Na hanona kulike o Pi’ilani; Pa’u of Hi’iaka; Kamaluokaleihulu: and Kekuaokala’au ala ‘iliahi! This segment will be CLASSIC.